Presentation is the key to success, whether you are a student to display your course line, a teacher to impart your own knowledge, a business person to highlight key factors of your firm, a designer who displays his artworks, an app developer who puts forward a nicer layout of his app; in every field and genre you need a crisp and compact presentation to win your audience and respective recipients. No matter how flowery your product really is, if you don’t play with it wisely and do not display it creatively it will not hit the target audience. Give out the best image of yourself and also of your product/brand all through a good presentation. 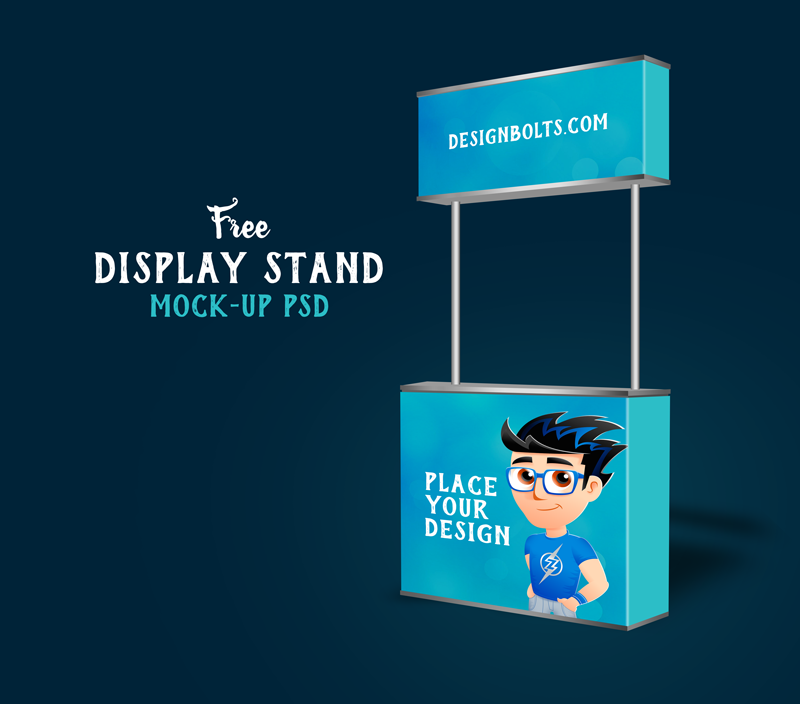 Here I made a mockup PSD of trade booth display stand for all your coming or maybe current projects. The designers/artists and also business owners who get to display their pursuits can put their flyers, cards, brochures or their fun goodies on the trade booths to attract people even from forlorn distance at work exhibitions or at expo centers. Trade booth displays are highly recommended for better advertising especially at an expo where you can achieve a great amount of target audience; you can talk to them face to face and draw them to your platform for details. The designers can place their client’s element into this mockup to show them how their products/brand or stuff will look on trade booth at expo. People love fancy and sophisticated trade booths, because the sharper they play with it, the better results can be obtained, but remember, the booth itself is nothing if your own design and product is not properly showcased over it. Insert in your own elements and make the good presentation out of it for your respected clients. Stick around for more design dose, art featuring, readable good articles and more interesting design collection. Don’t forget to subscribe us guys! We are here to give you the outclass design feed which will be a lot help for the beginners as well as for the entrepreneurs/experts, here we go!